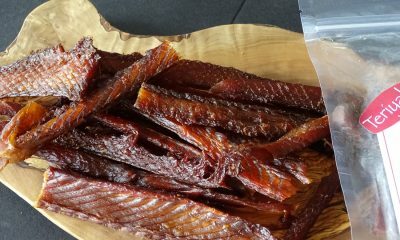 Rainbow Trout Jerky? Yes! Smooth rainbow trout is made with a blend of herbs and spices for a delicate and delicious treat that will be a pleasant surprise. Rainbow Trout Jerky is high in Omega 3 fatty acids and packs 10 grams of protein per serving for a healthy, delicious snack. This tasty treat is excellent served with some hickory smoked pepper cheese and whole grain crackers. 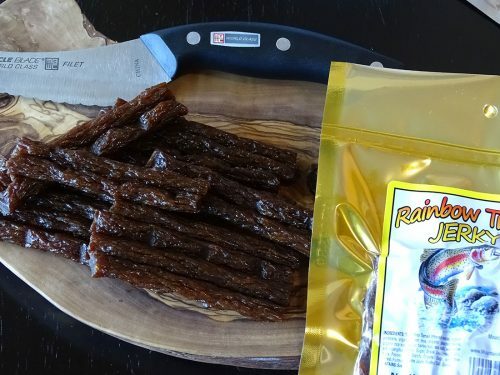 Our Rainbow Trout Jerky is made with minced Trout. It is preservative-free with no MSG or nitrates, Try our Rainbow Trout Jerky today and discover just how fine fish can be. 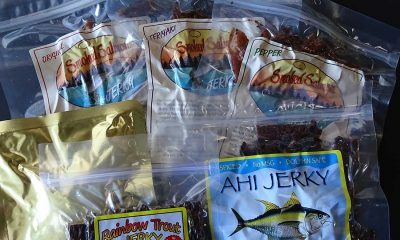 Good fish jerky! 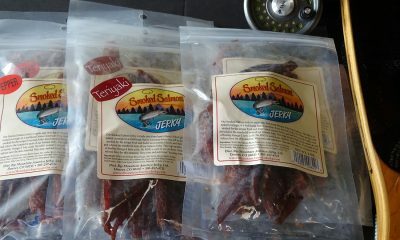 This jerky is much less fishy than all of the others I have tried. Doesn’t seem like you are eating fish at all!